This year we had our own Laurence How pass away due to complications arising from a mercifully short battle with cancer (http://www.thefidetrainer.com/2014/03/r-i-p-laurence-how.html) and sadly now Evelyn Koshnitsky too has left us at 99 years of age. 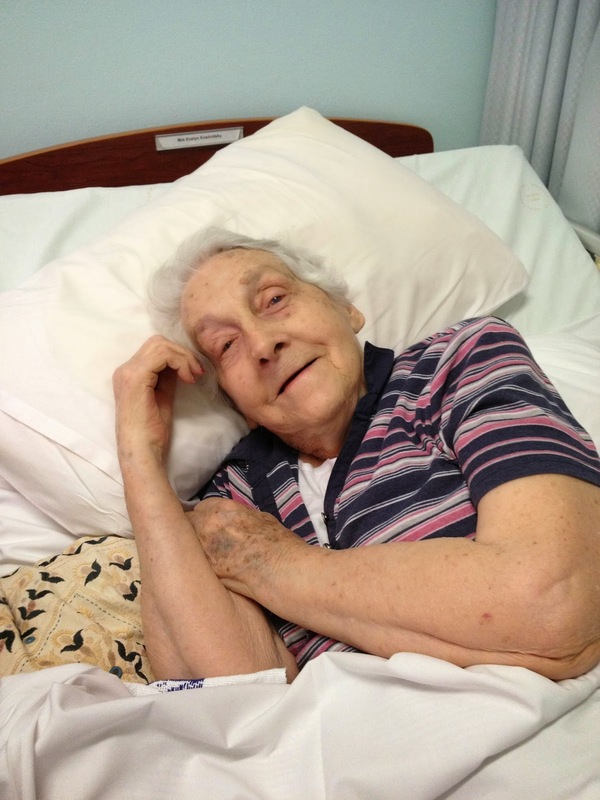 Evelyn, Mrs K, as I and many others called her, had not been well the last few years but until the end she remained alert and engaged in the game she had literally lived her life for. My connection to her was primarily on two special occasions and both involved Laurence! The first was when Mrs K brought a team of girls for a tour of Malaysia, I think it was the late 70's and while this was a time when very few girls played chess so there was hardly any locally at all to match them and so we put up a National Junior Boys team which was anyway well beaten! In 1985 I finally made the trip to Adelaide where Mrs K lived and so naturally led the organising of women's chess in Australia from there and this was for the Asian Girls Championships. Again it was Laurence who found the money and it was at this event that Malaysia had its finest moment with my student Audrey Wong winning our first ever major Asian title and I remember especially well the two adjourned games won in the first two rounds against the two favourites! Till today I have wonderful memories of that trip, the backyard BBQs, Alan Goldsmith holding forth at the Adelaide Chess Centre, long discussions with Gary K., watching cricket with our host family, and of course Anne Slavotinik picking up and driving us to her house where her new found student cooking skills were on display! 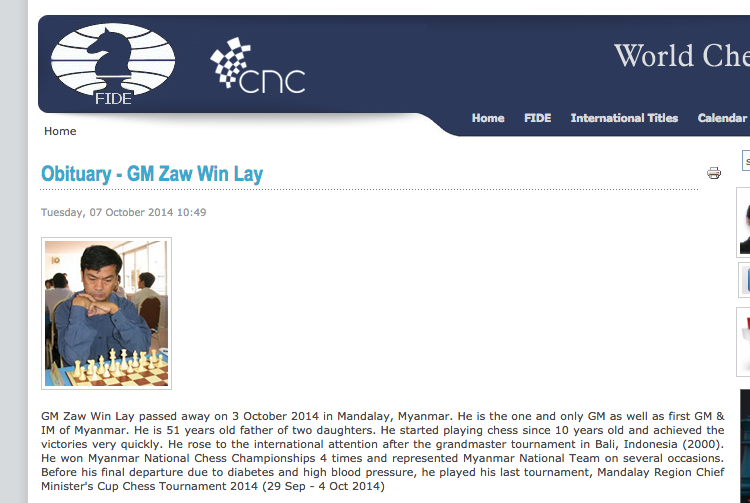 I will be the Chief Arbiter at the Myanmar Open from 23-30 November 2014 and I am very happy that with the sudden passing away of Zaw Win Lay, his country's first and only Grandmaster, the event has now been renamed after him. He was a very fine player in his time, very well respected and a big inspiration to Myanmar chess players. A few years back I had even looked to employ Zaw as a training-analysis partner for young talents at Polgar Chess Asia but it did not work out because the gentle man missed his country and life there too much. A pity as he would have helped make a difference with some of the young talents breaking into the national team today. Rest in peace Zaw, your contributions to chess everywhere will never be forgotten in your country and by all of us who came into contact with you, and much more importantly that any of your many achievements, you were a good man. All the best in Myanmar, Peter! Do our country proud as chief arbiter.